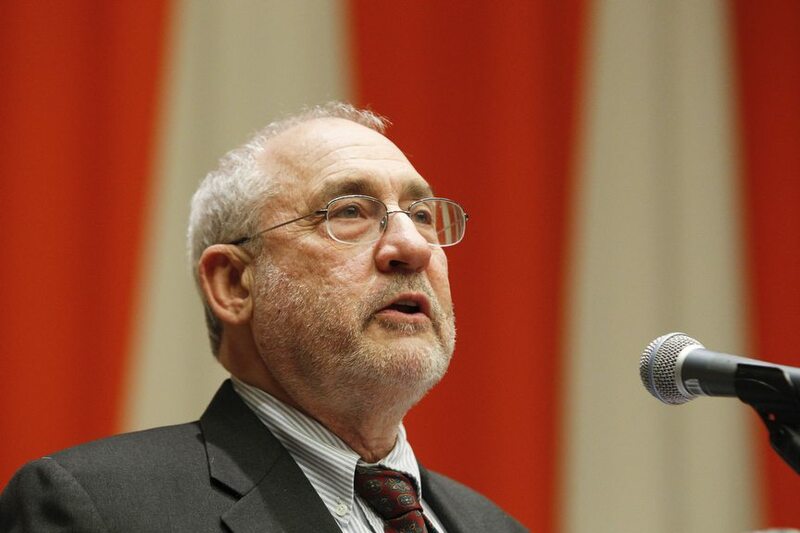 On the occasion of Martin Luther King Jr. Day, Joseph Stiglitz delivered a provocative keynote address on “The Threat of Growing Inequalities” to a capacity audience in the ECOSOC Chamber at United Nations Headquarters. Joining Nobel Laureate, Joseph Stiglitz for the discussion was an all star line up of intellectuals and world leaders including Professor Riccardo Viale, Director of the Italian Cultural Institute; Michael Doyle, Professor of US, Foreign and Security Policy Columbia University; Fabrizio Barca, the Director General of the Italian Ministry of Economy and Finance; Jose Antonio Ocampo, Chair of the UN Committee on Development Policy; Irene Kahn, Director General of International Development Law Organization; and Eliot Harris, Director of the United Nations Environment Programme. The panelists were able to map out some of the most pernicious reasons for the massive gulf between the rich and the poor. Professor Stiglitz noted that the growing inequality gap is not simply a result of economic forces and pointed to political and policy based causes and solutions. 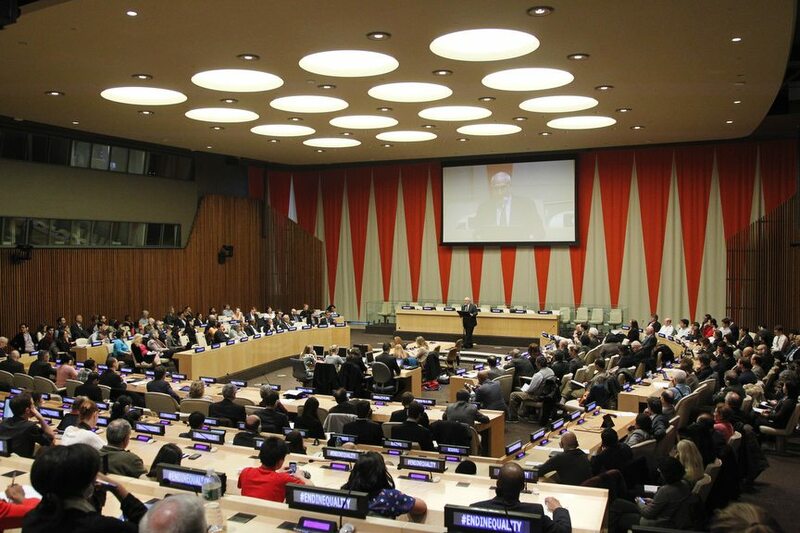 He called for the addition of another goal in the post 2015 agenda that will tackle inequality. Co-chairs of the open working group on the sustainable development goals, Ambassador Macharia Kamau of Kenya and Ambassador Ksaba Korosi of Hungary participated in the rich discussion. Martin Sajdic, Ambassador of Austria and President of ECOSOC were also in attendance to support and engage in the discussion. Amina Mohammed, the Secretary General’s Special Advisor on the Post-2015 development agenda participated and noted that political will is crucial to getting the SDGs off the ground. The discussion was organized by the Mission of Italy in cooperation with the Italian Institute of Culture and the International Development Law Organization and the UN Department of Public Information.